The 2015 ICC Cricket World Cup begins this Saturday with co-hosts New Zealand taking on Sri Lanka in Christchurch. Later on Saturday the tournament gets underway in Australia with the Aussies lining up against the old enemy England at the mighty Melbourne Cricket Ground. The tournament will see 14 teams play a total of 49 matches in 44 days at 14 venues across New Zealand and Australia. The matches will be beamed by 58 broadcasters to 240 countries with a broadcast audience of 2.5 billion people. The tournament, which is held every four years, will be attended by an estimated 1,000,000 people. To say that the Cricket World Cup is anything but a massive world sporting event is an understatement. 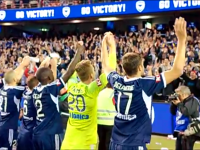 In Australia, fans will be able to follow all the action on Fox Sports Australia and ABC Grandstand, while the Nine Network’s coverage will have an Australian focus�(along with coverage of the�semi finals and final). CrocMedia will also provide live coverage of all Australia matches, the semifinals and the final. Fox Sports Australia’s, ABC Grandstand’s and Nine’s coverage details are summarised below. For overseas broadcast details, click here. The ultimate destination for World Cup coverage in Australia will be Fox Sports 3, which as of Monday night became a 24/7 World Cup Cricket channel (for the duration of the tournament). All 49 matches of the tournament will be broadcast by Fox Sports LIVE and in High Definition. Live match coverage will be complemented by the new�Cricket Legends�series hosted by cricket journalist Robert Craddock. 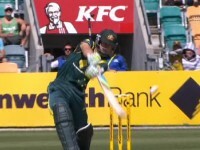 It debuted strongly on Tuesday night with former Aussie quick Jeff Thomson being interviewed. 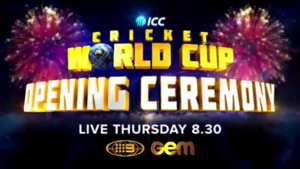 Fox Sports will take the “world feed” from the ICC’s host broadcaster Star Sports, but the world feed broadcast will be complemented by Fox Sports’ studio coverage featuring West Indian �Prince� Brian Lara, Fox Sports regular Allan Border, Kevin Pietersen, Brendon Julian and current Aussie stars Ryan Harris and Ellyse Perry.�Mark Waugh and Damien Fleming will feature on Fox Sports’ coverage as members of the world feed commentary team. On the technology front, Fox Sports’ Red Button feature through Foxtel will be available at any time during every match, enabling fans to gain instant access to alternative camera angles, the latest news, detailed stats and match highlights. Fans will also be alerted to approaching milestones while watching other Fox Sports channels, with viewers to be warned to tune in to the cricket when a player nears a century or a key wicket falls. Online www.foxsports.com.au has enhanced its digital cricket coverage in time for the tournament with an all-new Match Centre and revamped mobile site to include LIVE stats; wagon wheels, run-rate graphs, partnership and player statistics for every match. Fox Sports’ LIVE match coverage will begin on Saturday at 8:45am (AEDT) with New Zealand v Sri Lanka, followed by Australia v England at 1:30pm (AEDT). ABC Grandstand cricket will provide LIVE radio coverage of�all games in the World Cup via its analog and digital radio channels and online. Australia’s home of the Summer of Cricket Channel Nine will deliver (through its Wide World of Sports brand) all of Australia�s pool matches LIVE, as well as the third quarter-final (which Australia will play if they qualify), both semi-finals and the final. Channel Nine will also have coverage of the Opening Ceremony on Thursday night (to be screened LIVE on GEM). Nine’s�coverage will take the world feed and to complement that feed there will be up to an hour of analysis before each broadcast match. Channel Nine’s coverage will feature Mark Taylor, Ian Healy, Shane Warne, Michael Slater, Mike Hussey, Brett Lee and Mark Nicholas. Channel Nine’s LIVE match coverage begins this Saturday with Australia v England from the Melbourne Cricket Ground. The six-week tournament is now only days away and the eyes of the cricketing world are on Australia and New Zealand for what promises to be a fantastic tournament. Australian fans should not miss a moment of the tournament with wall-to-wall coverage on Fox Sports and ABC Grandstand, and an Australian focus on Nine. It has been a long wait (since 1992) for cricket’s premier one day tournament to return to Australia and New Zealand but�the wait is almost over. Get set for 44 days of captivating international cricket.